There are many different ways to calculate a country’s national debt. 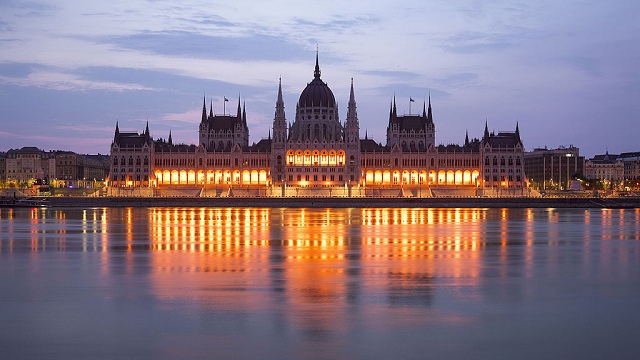 As HUngary is part of the EU, it follows the guidelines laid down in the Maastricht Treaty. At the end of the first quarter of 2018, the country measured its national debt as 73.9% of its GDP. The Maastricht Treaty specifies that countries should get its debt to GDP ratio down to 60% in order to join the Euro. However, Hungary isn’t part of the Eurozone and has its own currency, which is called the Forint. The Maastricht conditions counts the debts of all levels of governments as contributing towards national debt. The IMF doesn’t include as many factors in its calculation of national debt, although it also calls its measure “general government debt.” That organization calculated Hungary’s gross national debt to GDP ratio as 69.9% at the end of 2017. Net debt is gross debt minus all of the financial assets that the government owns. The 2017 net debt to GDP figure for Hungary as calculated by the IMF was 66.4%. The OECD includes all of the debts of the public sector of a country, which includes state-owned agencies and utilities, such as the national rail service. The OECD worked out a debt to GDP ratio for Hungary of 91.8% at the end of 2017. The ratings given by the three main credit rating agencies is shown below. A credit rating in the B range is not so good and doesn’t compare favorably with the ratings of other EU nations. Who manages Hungary’s national debt? The national government’s Ministry of Finance (Pénzügyminisztérium) is responsible for the national debt of Hungary. However, although the Ministry in answerable to parliament for the debt, it doesn’t manage the debt directly. It gives this responsibility to an independent state-owned agency, called the Government Debt Management Agency (ÁKK). This organization was set up as a limited company, called GDMA Pte. Ltd, which is entirely owned by the state. How does the Hungarian government raise loans? The ÁKK operates an electronic platform, called WebTreasury, which details the different government securities in circulation. WebTreasury is the trading platform used by ÁKK for its primary market in government securities. The agency publishes a schedule of sales dates for new issues and a circle of approved buyers, called Primary Dealers, then submit tenders through WebTreasury for part of that issue. Financial institutions can buy government securities after that initial offering. They can either buy them direct from the Treasury, from one of the approved dealers, or on the secondary market. Hungarian government securities can be bought and sold through the Budapest Stock market, or through an electronic market, called MTS Hungary. Both of these types of financing are raised through commercial channels. The government also operates a national savings scheme as a source of both short-term and long-term funds. The Discount Treasury Bill (DKJ) is a type of instrument used by governments all over the world for short-term finance. The Treasury bill does not pay any interest, but it is sold at a discount and redeemed at full face value. The ÁKK sells Treasury bills with three month and one year maturities. These bills are tradeable on the secondary market and can be bought by anyone after the Primary Dealers resell their purchases. Auctions are held every Tuesday for the 3 month bills and every Thursday for the one year bill. The one-year and half-year Hungarian Government Security (1MÁP and FMÁP), used to be known as Interest-Bearing Treasury Bills (KKJs and FKJs). These are short-term versions of the classic government benchmark bond. Interest is paid on the maturity date, both factors being printed on the bond certificate. The standard, benchmark bond issued by the ÁKK is called the Hungarian Government Bond (MÁK). The government authorizes bonds with maturities of three, five, 10 , and 15 year with fixed interest rates. Floating-rate versions are also available. These are offered with maturities of three or five years. These bonds are initially sold to Primary Dealers through auctions and then circulated on the Budapest Stock Exchange and MTS Hungary. The Premium Hungarian Government Security is a floating-rate savings bond with maturities of three and five years. The rate is a expressed as a premium over Hungary’s Consumer Price Index. Interest is paid annually. The interest rate has a floor so that it would never follow the CPI below zero. The Bonus Hungarian Government Security is also a floating-rate savings bond. These bonds are issued with maturities of four, six, and ten years. The interest rate is calculated as the weighted average of the yields of the previous four successful auctions of the 12 month Discount Treasury Bills. The bond pays interest once a year during its lifetime. The Premium Euro Hungarian Government Security is a three-year floating-rate bond that is denomination in Euros. The interest rate is calculated as a sstated base rate plus a premium that follows the European Harmonised Index of Consumer Prices. The contract guarantees that interest rates on the bonds can never be less than zero. Interest is paid in 6-month installments. 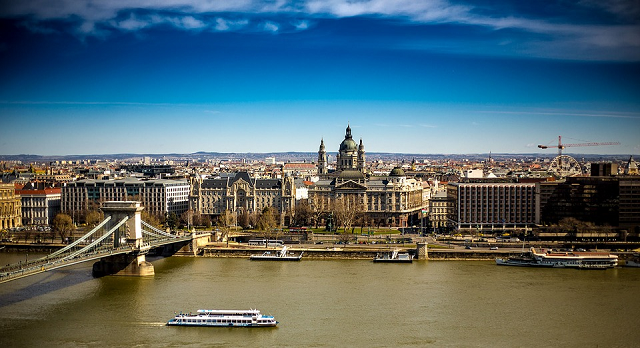 The 2-year Hungarian Government Security is a fixed-rate Hungarian Forint savings bond with a two-year maturity period. All interest is paid together with the capital on the maturity date. Treasury Savings Bills are denominated in Hungarian Forints and they are only available to residents of Hungary. The bonds last for one or two years and the interest paid on them increases over time according to a pre-stated scale. Holders can cash in their bills at any time with the Treasury. The one-year bill is classified as a Treasury bill, but the two-year bill is categorized as a government bond. Treasury Savings Bills Plus are denominated in Hungarian Forints and are only available to Hungarian residents. fixed, step-up rate securities in a dematerialised form with a tenor of one year. Interest is paid at maturity, when traders receive the amount of interest together with the principal. Owners of these bonds can cash them in at any time during the one-year lifetime, but they receive a lower rate of interest and only for the proportion of the year they they held the bonds. What facts should you know about Hungary's national debt? You could wrap $1 bills around the Earth 443 times with the debt amount. If you lay $1 bills on top of each other they would make a pile 12,426 km, or 7,721 miles high. That's equivalent to 0.03 trips to the Moon.